#reThinkELA Poll: What Questions Do You Have? You are here: Home / News / #reThinkELA Poll: What Questions Do You Have? 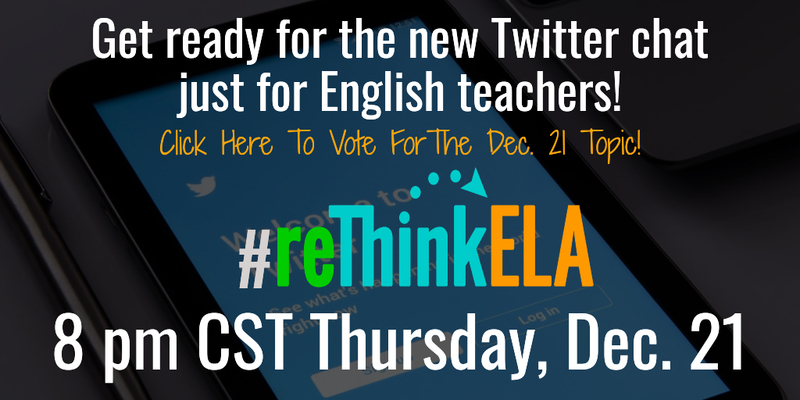 We’ve had two amazing chats so far, and I’d love to hear what topic you’d like to talk about in next week’s #reThinkELA Twitter chat. We discussed speaking and listening standards during our first week and teaching grammar today. By the way, you can follow my blog with Bloglovin.